7 April 2019: "Originals of Tender Correspondence" added. Is letter of intent binding? If binding, how? This is a customary practice to bind in the originals. However, sometimes it takes too long to obtain the originals from the recipients because this is not their first priority to attend to this matter, or the recipients would want to retain the originals as original evidence. Use fair photocopies of the originals for binding into the original set of the Contract Documents. 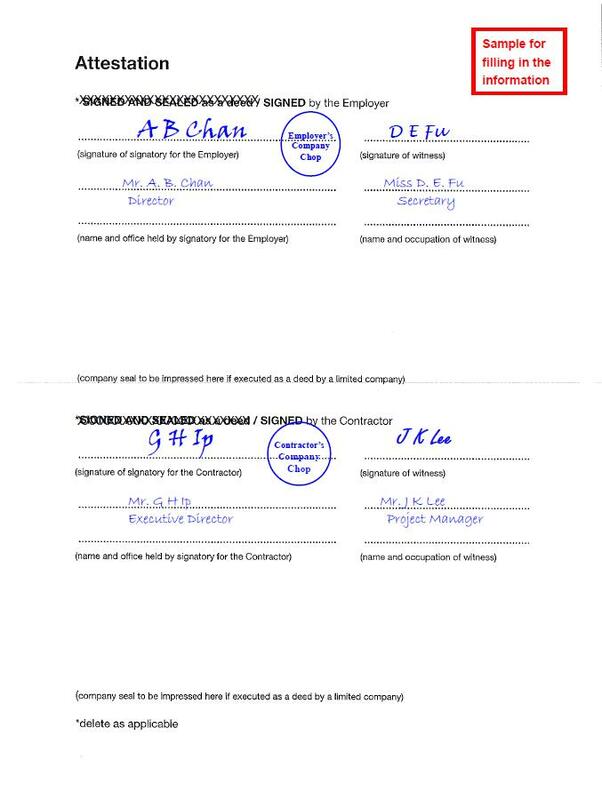 Signing of the Contract Documents with such photocopies bound in should be sufficient to signify that the signing parties recognize the fair photocopies represent the true contents of the originals. Notify the contract parties such intention to use fair photocopies in case they may disagree. Some organisations tend to be dogmatic to follow the customary practice. Calculating limit of retention and amount of surety bond (based on the overall Contract Sum or exclusive of prime cost and provisional sums; rounding off).